LITTLE FALLS, NJ - September 30, 2010 (Investorideas.com Newswire) - mPhase Technologies, Inc. (OTC.BB:XDSL), a leader in the development of Smart Surfaces and advanced battery technologies today announced that its Smart NanoBattery is showcased in the September 2010 issue of Medical Products Manufacturing News. The magazine's September issue includes a high resolution image of mPhase's porous silicon membrane, which is a core technology of the Smart NanoBattery's ability to precisely control the flow of liquids to create a new battery design having a shelf life of over 20 years. The article describes how the Smart NanoBattery capitalizes on MEMS technology and microfluidics to enable the machining of the silicon-based materials, while microfluidics controls the flow of liquid electrolyte through the battery's porous membrane and also enables filtration and separation of the liquid. While the liquid electrolyte is initially separated from the solid electrodes, microfluidic technology enables it to move through the membrane's pores to contact the electrodes when the battery is activated. The article goes on to describe how the underlying technology for regulating the flow of liquid to create a battery also has great potential for use in non battery applications. While a Smart NanoBattery prototype is being developed under a work-program grant sponsored by the U.S. Army under a STTR program, Ron Durando, the CEO of mPhase says that mPhase has its sights on the medical device industry. "The battery has the potential to be suitable for external and implantable medical devices," he adds. "These can include devices such as glucose monitors and drug-release devices." Medical Products Manufacturing News, is published by Cannon Communications LLC, a an organization specializing in medical magazines, newsletters and online web site focused on informing members of the medical community on news and forward looking devices and technologies having applications in the medical industry. The article on the Smart NanoBattery can be found on the online site with the following URL: http://www.qmed.com/mpmn/article/24212/smart-nanobattery-real-turn-and. .Disclaimer: this is not a solicitation to buy or sell stocks, or an endorsement for any company. VANCOUVER, BRITISH COLUMBIA--(http://www.investorideas.com/ clean energy stocks blog ) Sept. 30, 2010) - GreenAngel Energy Corporation ("GreenAngel") (TSX VENTURE:GAE) reports that investee company Light-Based Technologies Inc. ("LBT") have closed a financing round totaling 7.5 million US dollars. The Series B round of investment was lead by VantagePoint Venture Partners based in San Bruno, CA. As part of the investment, VantagePoint's Managing Director, Marc van den Berg has joined the board of LBT. GreenAngel currently holds 1,560,000 shares in LBT. The funding will be used primarily to expand sales efforts to Tier 1 customers, as well as to build on and expand the existing intellectual property portfolio that LBT is commercializing. Comments LBT CEO Jeanette Jackson, "Having VantagePoint as a lead investor and adding Marc to our board with this investment will open doors for LBT that were previously difficult to get open. With more than $4.5 billion under management and a portfolio of companies in the same industry as LBT, we look forward to taking full advantage of the synergies and connections that they will bring as we scale up our licensing and sales efforts." Michael Volker, Chairman of GreenAngel comments, "LBT's rapid progression in the commercialization of their technology is a great example of how the GreenAngel model can work to the benefit of both the company and investors. We're thrilled that LBT will be adding a prominent US VC to the shareholder base and look forward to this next phase of growth with a focus on sales." SHENYANG, China, Sept. 30 /( www.investorideas.com renewable energy/green newswire ) -- A-Power Energy Generation Systems, Ltd. (Nasdaq: APWR) ("A-Power" or the "Company"), a leading provider of distributed power generation systems in China and a fast-growing manufacturer of wind turbines, today announced the signing of an EPC contract to build two 12MW and two 75t/h power plant projects in Liancheng, a total contract value of RMB 242 million. Mr. Jinxiang Lu, A-Power's Chairman and CEO, commented, "We are very excited to see an additional win in our core distributed generation (DG) business in China. Our Liaoning Hi-Tech (GaoKe) Energy Group subsidiary continues to build a strong pipeline of business for A-Power, expanding our customer base, geographic footprint as well as gaining further expertise in the DG business." Liaoning Hi-tech (GaoKe) Energy Group, A-Power's wholly-owned subsidiary and EPC (engineering, procurement, and construction) contractor for this project, will be responsible for all the planning, engineering, and construction within the power stations. The Company anticipates that it will recognize revenue over the 19-month anticipated implementation period on the percentage of completion method it customarily employs for projects in its DG business. A-Power Energy Generation Systems, Ltd. ("A-Power"), through its China-based operating subsidiaries, is a leading provider of distributed power generation systems in China and is expanding into the production of alternative power generation systems. Focusing on energy-efficient and environmentally friendly DG projects of 25MW to 400MW, A-Power also operates one of the largest wind turbine manufacturing facilities in China and in March 2009, entered into an agreement to establish a partnership with W2E Wind To Energy GmbH to produce wind turbine gearboxes in Shenyang, Liaoning Province. It also acquired Evatech, a designer and manufacturer of industrial equipment for amorphous-silicon (a-Si) photovoltaic (PV) panels, in 2010. This press release may contain forward-looking statements. Any such statement is made within the 'safe harbor' provisions of the U.S. Private Securities Litigation Reform Act of 1995. These forward-looking statements can be identified by terminology such as "may", "will," "expects," "anticipates," "future," "intends," "plans," "believes," "estimates," and other similar statements. Statements that are not historical facts, including statements relating to anticipated future earnings, margins, and other operating results, future growth, construction plans and anticipated capacities, production schedules and entry into expanded markets are forward-looking statements. Such forward-looking statements, based upon the current beliefs and expectations of our management, are subject to risks and uncertainties, which could cause actual results to differ materially from the forward-looking statements, including but not limited to, the risk that: inclement weather conditions could adversely affect our operating results in particular quarters and/or fiscal years; we may experience construction, manufacturing and development delays on our projects which could adversely affect our financial condition and operating results; our limited operating history and recent entrance into new lines of business and jurisdictional markets may make it difficult for you to evaluate our business and future prospects; we may not be able to successfully develop our business in new jurisdictional markets, which would have a negative impact on the results of our operations derived from such new jurisdictional markets; our customers may not be able to obtain the financing required for these projects, and thus, we may not be able to derive revenues from such agreements, as well as other relevant risks detailed in our filings with the Securities and Exchange Commission, including those set forth in our annual report filed on Form 20-F for the fiscal year ended December 31, 2009. The information set forth herein should be read in light of such risks. We assume no obligation to update the information contained in this press release, except as required under applicable law. SOURCE A-Power Energy Generation Systems, Ltd.
ORONTO, ONTARIO--(http://www.investorideas.com/ clean energy blog ) - Hanfeng Evergreen Inc. (TSX: HF.TO) ("Hanfeng" or the "Company") reported its financial results for the fourth quarter and year ended, June 30, 2010 and provided several operational updates. Hanfeng changed its fiscal year-end from December 31 to June 30, effective from June 30, 2009. Therefore, Hanfeng's comparative period for fiscal 2010 is a 6 month audited period ended June 30, 2009. For a more meaningful comparative, the key financial results of fiscal 2010 were compared to the twelve-month period ended June 30, 2009, which is not an audited period. During the fourth quarter and fiscal year 2010, the Canadian dollar appreciated approximately 14 percent and 8 percent to the Chinese Renminbi (RMB) respectively. Although Hanfeng earns almost all of its revenue and pays all of its suppliers in RMB, it reports its financial results in Canadian dollars and the appreciation of the RMB has a negative impact on reported results. All amounts are in Canadian dollars unless otherwise noted. the cost basis of assets. Sales revenue in fiscal 2010 was $270.4 million versus $292.7 million for the twelve-month period ended June 30, 2009. The decline was the result of several factors including the impact of foreign exchange and a lower average selling price due to lower commodity prices, partially offset by record sales volumes of Hanfeng's traditional slow and controlled release fertilizers ("SCR") and a year-over-year increase in CarbonPower(R) coated urea ("CPU") sales volumes. EBITDA in fiscal 2010 was $38.7 million versus $46.8 million in the twelve-month period ended June 30, 2009. Net income in fiscal 2010 was $29.3 million versus $41.5 million due to lower gross profit, a property, plant and equipment write-down in the current fiscal year of $1.0 million, a $2.2 million foreign exchange gain in the prior year and a $2.3 million increase in income tax expense due to the expiration of the Company's zero tax holiday status in China during the current fiscal year. Earnings per share ("EPS") was $0.47 in fiscal 2010, compared to $0.68 in the twelve month period ended June 30, 2009. In the fourth quarter of fiscal 2010, sales revenue was $83.9 million compared to $67.4 million in the quarter ended June 30, 2009. EBITDA in the fourth quarter of 2010 was $11.9 million versus $13.6 million in the quarter ended June 30, 2009. Net income was $9.6 million in the quarter ended June 30, 2010 compared with $11.2 million in the quarter ended June 30, 2009. EPS was $0.15 in the quarter ended June 30, 2010 compared to $0.19 in the quarter ended June 30, 2009. The year-over-year decreases were primarily the result of the aforementioned issues and partially offset by an increase in tonnage sold of SCR. In 2010, Hanfeng continued to experience increasing demand for its SCR and CPU, despite significant decreases in the selling price of conventional fertilizers. Conventional fertilizers (urea, potash, and phosphate) continue to be the Company's primary competition, as well as the primary feedstock for its SCR, representing approximately 90 percent of cost of goods sold. Over the past several quarters, the combination of the global economy and an oversupply of conventional fertilizers and commodities have put significant downward pressure on prices and caused many producers to liquidate inventories at below market levels. Hanfeng, as a value-added producer, is highly sensitive to fluctuations in commodity prices, as well as market pricing. The Company has continued to increase its sales volumes despite these unfavourable market conditions. However, to remain competitive and continue to grow market share, Hanfeng has adjusted its prices to reflect the current market. The Company has experienced signs of stabilization in its markets and does expect that prices of conventional fertilizers/raw materials will slowly begin to improve. In the quarter ended June 30, 2010, overall gross profit increased 14 percent to $12.2 million from $10.7 million in the quarter ended June 30, 2009. Gross profit in fiscal 2010 decreased to $41.8 million from $45.8 million in the twelve-month period ended June 30, 2009, down $4.1 million or 9 percent. Excluding the impact of foreign exchange, gross profit decreased 1 percent on a year-over-year basis, mainly due to a lower gross profit per metric ton and slightly offset by record sales volumes. Gross profit in RMB increased 29 percent during the quarter ended June 30, 2010 over the comparative period last year as a result of a 40 percent increase in sales in RMB, and partially offset by lower gross margin of SCR per metric ton. Gross profit as a percentage of sales in the fourth quarter of fiscal 2010 was 14.6 percent compared to 15.9 percent in the comparative period as a result of a lower gross profit per ton in SCR as a result of the aforementioned market conditions and the commercialization of the CPU product in fiscal 2010 which has a lower gross margin percentage than SCR. Gross profit as a percentage of sales for fiscal 2010 was slightly down to 15.4 percent from 15.7 percent as a result of gross profit per ton proportionally decreasing more compared to the decrease of the average selling price in the comparative periods and the commercialization of the CPU product in fiscal 2010. Sales volume of SCR grew to 152,907 metric tons ("MT") in the fourth quarter ended June 30, 2010, a 12 percent increase over the 136,197 MT sold in the comparative period last year. Production of SCR in the fourth quarter of fiscal 2010 increased to 156,646 MT, the highest quarterly production in the Company's history. Hanfeng's average selling price of SCR decreased 2 percent to RMB 2,669 per MT from RMB 2,737 per MT in the third quarter of fiscal 2010, and 8 percent from RMB 2,899 per metric MT achieved in the quarter ended June 30, 2009. The reduction in selling price correlates to a decrease in raw material costs during the same period. For the quarter ended June 30, 2010, the average price of urea, phosphate, and potash decreased 5 percent, 4 percent and 6 percent respectively, compared to the third quarter in 2010. In fiscal 2010, Hanfeng's SCR sales volumes grew to 570,065 MT compared to the 546,040 MT sold in the twelve months ended June 30, 2009. Total production of SCR in fiscal 2010 rose to 571,811 MT, up 3 percent from 557,732 MT in the twelve-month period ended June 30, 2009, as result of net additional capacity added. Hanfeng's average selling price of SCR decreased to RMB 2,681 per MT from RMB 3,200 in the twelve-month period ended June 30, 2009, a decrease of 16 percent. Over the same period, the average price of urea, phosphate, and potash decreased by 6 percent, 15 percent and 26 percent respectively. As at June 30, 2010, there were 16,733 MT of finished goods on hand compared to 14,791 MT as at June 30, 2009. Gross profit for SCR on a per MT basis for the quarter ended June 30 2010 was RMB 430, a decrease of RMB 28 per MT or 6 percent from the comparative period last year. Gross profit for SCR per MT in the fourth quarter of fiscal 2010 decreased 2 percent from the third quarter of fiscal 2010. Declines in both periods were primarily due to the aforementioned market conditions. Gross profit for SCR on a per MT basis for fiscal 2010 was RMB 435, compared with RMB 498 in the twelve-month period ended June 30, 2009, down RMB 63 per metric ton or 13 percent, also as a result of the aforementioned market conditions. Combined with the annual production capacity from the recently completed facility in Indonesia and the repurchase of Agrium Inc.'s interest in the Shanxi joint venture (see "Recent Business Highlights"), the Company now has approximately 826,000 MTPA in SCR design capacity. During the quarter ended June 30, 2010, Hanfeng sold 72,116 tonnes of the CPU, a 99 percent increase over the 36,262 tonnes sold in the previous quarter. Hanfeng began commercial sales of CPU in the third quarter of fiscal 2010 after securing the exclusive supply and distribution agreement with FBSciences, Inc. in November 2009. The Company experienced importation delays in the second and third quarter of fiscal 2010 as a result of importing a new technology for the agricultural market in China. The average selling price on CPU in the fourth quarter of fiscal 2010 was RMB 2,012 per MT, down 3 percent from RMB 2,081 per MT in the third quarter of fiscal 2010 due to declining urea prices in the fourth quarter of fiscal 2010. Gross profit per MT on CPU was RMB 207, up RMB 14 per MT or 7 percent from RMB 193 in the third quarter of fiscal 2010. As at June 30, 2010, Hanfeng reported cash and cash equivalents of $51.9 million and net working capital of $166.6 million. Total inventory and advances to suppliers increased to $94.0 million at June 30, 2010, compared with $77.8 million at June 30, 2009 in preparation for additional volumes of CPU and an anticipated increase in raw material prices. As at June 30, 2010, Hanfeng had bank loan of nil and had no long-term debt. advances from customers and income tax payable. Hanfeng is pleased to announce that it has entered into two separate letters of intent ("LOI") with Beidahuang Agriculture Company Limited ("Beidahuang") (SHA:600598). Beidahuang is the largest public agricultural company in China, consisting of 16 agricultural subsidiaries, involved in multiple areas of the agricultural market including farming, distribution of rice, grains, and other agricultural products, and manufacturing fertilizers. It produces 3,000,000 tons of high quality rice, 300,000 tons of soybean, 150,000 tons of wheat, 1,000,000 tons of rice, as well as 300,000 tons of other grains, cash crop and organic food per annum from its nearly 10,000,000 mu of farm land. Both letters of intent are subject to final board approval. The first LOI is a sales and future cooperative joint venture agreement whereby Hanfeng will supply up to 200,000 MT a year of value-added fertilizer products to a joint venture ("the Distribution JV") to be operated by Beidahuang and Hanfeng. Under the terms of the LOI, the value-added fertilizer products (SCR, CPU) will be sold to the Distribution JV at market prices for resale in Beidahuang's distribution network. The Distribution JV also plans to distribute additional value-added fertilizers by leveraging Hanfeng's core technologies, Beidahuang's distribution network and third party resources. In addition to reselling value-added fertilizers, the Distribution JV will further cooperate in the areas of research and development, promotions and field trials. Under the proposed terms of the LOI, Hanfeng will own 40 percent of the joint venture. The second LOI proposes the construction and operation of a 150,000 MTPA multi-product joint venture production facility (the "Facility") located in the Heilongjiang province. The Facility would be built next to Beidahuang's urea production facility. The Facility would be owned under similar terms as those provided in other Hanfeng joint ventures and the proposed ownership would be 50 percent for the Company and 50 percent for Beidahuang. Construction is expected to begin immediately after reaching a definitive agreement. The original joint venture with Shandong Mingshui Great Chemical Group (the "Minghua JV") to construct and operate a 100,000 MTPA polymer coated urea ("PCU") fertilizer plant in the Shandong province was signed in July 2008. Construction commenced in the fourth quarter of 2008 and the facility was put into production in July 2009. In 2009, the Company entered into an agreement to merge Minghua's existing 40,000 MTPA sulphur coated urea facility with the Minghua JV and build an additional PCU production line with an annual capacity of 100,000 MTPA. After an examination of the current market in Shandong, and the first year operations of the Minghua JV, the Company has elected to dedicate its limited construction resources to other markets that it expects will provide a higher return on investment. Consequently, the Company will not proceed with the merger of Minghua's existing 40,000 MTPA sulphur coated facility or the additional 100,000 MTPA PCU production line at this time. Hanfeng has entered into an agreement with Harbin Fengyuan Agricultural Industry Co., Ltd. ("Fengyuan") to purchase the assets of a fertilizer bag production facility for $5.6 million. As at June 30, 2010, the Company had deposited $4.7 million with Fengyuan to secure the assets in accordance with the purchase and sale agreement. The agreement is subject to obtaining governmental approvals and is expected to close in the first half of fiscal 2011, pending the legal transfer of assets. The Company believes it is beneficial to control that aspect of the supply chain as it expands its product offerings and geographical locations. the largest producer of palm oil and tobacco in Indonesia, and PT. through its extensive distribution network in Southeast Asia. as Hanfeng Slow Release Fertilizer (Canada) Co. Ltd. (or "Subco"). that have a broad range of products including SCU. year. As at June 30, 2010, the Company had sold over 200,000 MT of CPU. higher yields and better quality rice crops with fewer applications. Mr. Paul Begin, CFO of Hanfeng, will host a conference call to review the Company's financial and operational performance. Management invites analysts and investors to participate on the conference call. Hanfeng's year end 2010 financial statements and MD&A have been filed and will be available at www.sedar.com. PARIS--(http://www.investorideas.com/ clean energy stocks blog)--A Tesla Roadster traveling around the world concludes its epic voyage tonight when it arrives in Paris for a spectacular gala. .Sponsored by electric carmaker Tesla Motors and TAG Heuer to commemorate the Swiss watchmaker’s 150th anniversary, the Odyssey of Pioneers has traveled through hundreds of towns and 16 major cities worldwide. •It was the first car without Russian components to receive official clearance to park in Moscow’s Red Square. Red Square is Russia’s former royal citadel and the president’s residence – the heart of Moscow and Russia itself. •It was greeted by cheering crowds in Budapest, where Nikola Tesla came up with the design for his revolutionary alternating-current induction motor in 1882. The Tesla Roadster – the world’s only electric sports car -- uses an AC induction motor descended from the prodigal scientist’s original vision. •It was hosted in India by Bollywood phenomenon Shah Rukh Khan and in Jaipur by His Royal Highness Sawai Bhawani Singh Bahadur, the last maharaja of Jaipur -- considered Rajasthan’s most significant political, cultural and religious figure. •It traveled to the Great Wall of China. During a stop at one section of the 8,852-kilometer landmark, respected Chinese actor and “Hero” star Chen Dao Ming took a spin. Tesla technician Luke McClure has driven the car throughout the six-month journey. The car has performed solidly. Co-pilot and award-winning cameraman Vivien Floris chronicled the adventure online. McClure, 26, grew up in Norwich, UK – not far from the town of Hethel, where the Tesla Roadster is manufactured. In India, China, Russia and other countries en route, the Roadster has recharged from conventional outlets using existing infrastructure. The TAG Heuer Tesla Roadster uses standard outlets at hotels and restaurants, and even at churches, private homes and a barn in rural Switzerland, demonstrating the versatility and ease of Roadster charging. The Roadster is the only sports car that can be fully or partially charged with renewable energy, including solar, wind, hydroelectric and geothermal energy. The TAG Heuer Tesla Roadster has recharged whenever possible with purely renewable energy – for instance, at a solar-powered Hilton Hotel in Switzerland, and at a Roadster owner’s solar energy company in Italy. Tesla CEO, Chairman and Co-Founder Elon Musk will be in Paris for the Odyssey’s grand finale Sept. 29 – the day before Tesla will open its showroom in the heart of Paris at 41 Avenue Kléber, walking distance to the Arc de Triomphe and Champs Elysées. Tesla’s goal is to produce energy-efficient cars for mass-market, mainstream consumers. Tesla has already delivered about 1,300 zero-emission cars in at least 30 countries. With a relentless focus on customer service, Tesla sells cars directly to clients, both online and at the following European showrooms: London, Monaco, Zurich, Munich, Copenhagen and Paris starting Sept. 30. Tesla has eight additional showrooms in North America. ZUG, Switzerland, Sep 28, 2010 -- Foster Wheeler AG, (Nasdaq: FWLT) announced today that its Global Engineering and Construction Group, working with PetroAlgae Inc., (OTCBB:PALG) has completed its initial testing of PetroAlgae's biomass, with encouraging results. The biomass, produced at PetroAlgae's micro-crop farm in the U.S., is being tested as a delayed coker feedstock supplement to provide renewable biofuels to the market. This biomass is renewable, carbon neutral, sustainable and lends itself readily to commercial-scale production. Testing was conducted at a state-of-the-art commercial coker testing facility operated by the College of Engineering and Natural Sciences at the University of Tulsa (Oklahoma). The combination of PetroAlgae's proprietary patent-pending biomass production system, and Foster Wheeler's SYDECSM delayed coking technology, is being designed with the intent to allow the delayed coker to incorporate biomass into the coker feedstock, with minimal configuration changes to an existing unit. "We are very pleased with the results from our initial testing of PetroAlgae's biomass that generates green fuels from a blend of biomass and petroleum vacuum residue," said Umberto della Sala, president and chief operating officer of Foster Wheeler AG. "These results could lead to a change in the way refineries look at biofuels in the future, as we believe this presents a commercially scalable source of biomass which produces a true 'drop in' feedstock which is compatible with the entire existing transportation fuel infrastructure." Foster Wheeler AG is a global engineering and construction contractor and power equipment supplier delivering technically advanced, reliable facilities and equipment. The company employs approximately 13,000 talented professionals with specialized expertise dedicated to serving its clients through one of its two primary business groups. The company's Global Engineering and Construction Group designs and constructs leading-edge processing facilities for the upstream oil and gas, LNG and gas-to-liquids, refining, chemicals and petrochemicals, power, environmental, pharmaceuticals, biotechnology and healthcare industries. The company's Global Power Group is a world leader in combustion and steam generation technology that designs, manufactures and erects steam generating and auxiliary equipment for power stations and industrial facilities and also provides a wide range of aftermarket services. The company is based in Zug, Switzerland, and its operational headquarters office is in Geneva, Switzerland. For more information about Foster Wheeler, please visit our website at http://www.fwc.com. SAN MARCOS, CA--(http://www.investorideas.com/ clean energy stocks blog ) - September 29, 2010) - RMD Technologies, Inc. (PINKSHEETS: RMDT) is pleased to announce that the Company has engaged PRP Seats of Murrieta, California to supply the seating for the Company's small Electric Vehicles. PRP Seats manufactures their seating to their customers' unique specifications and builds in the quality and ruggedness required for the brutal demands of all-terrain driving. The Company's focus is very simple; build high quality suspension seats for distinctive applications, while providing excellent customer service. As off road enthusiasts themselves, PRP knows how brutal the punishment can be to man and machine once you leave the highway, and over the years have developed proven solutions. The Company boasts the flexibility to provide robust seating, equipped with quality suspension, for practically any application. Since November 2001, PRP's owners have participated in every form of off-roading, from racing to weekend trail riding, buggies to quads, jeeps to motorcycles. They bring over 20 years of specialized experience to the Company. Consequently, the "hands on" knowledge and expertise that has resulted is unparalleled. "We have been very selective in this process. PRP's ability to built the exact seating we require, along with great quality and a completely American made product made the choice clear. We move forward with PRP in full confidence that their participation will contribute to the excellent quality that we will build into product," stated Patrick Galliher, CEO of RMD Technologies, Inc.
As RMD Technologies recently announced, the Company has commenced operations at the new facility located in San Marcos, California. The Company expects to launch sales of their new Electric Utility Vehicles during the fourth quarter of 2010 with delivery of the first units shortly thereafter. RMD Technologies, Inc. has designed its vehicles to qualify for all federal and state purchasing incentives, including the current federal tax credit available under the Energy Improvement and Extension Act of 2008. RMD Technologies, Inc. is a California based business founded in 2001. Since inception, RMDT has provided electronics recycling services to businesses, state and federal agencies. In 2007 RMDT began the development of an alternative energy vehicle using a large percentage of materials recycled from electronic waste. The result is a small electric vehicle design that incorporates recycled materials, clean electric energy and solar power. Notice: Certain statements in this news release may contain forward-looking information within the meaning of Rule 175 under the Securities Act of 1933 and Rule 3b-6 under the Securities Exchange Act of 1934, and are subject to the safe harbor created by those rules. All statements, other than statements of fact included in this release, including, without limitation, statements regarding potential future plans and objectives of the company, are forward-looking statements that involve risks and uncertainties. There can be no assurance that such statements will prove to be accurate and actual results and future events could differ materially from those anticipated in such statements. Technical complications that may arise could prevent the prompt implementation of any strategically significant plan(s) outlined above. The company cautions that these forward-looking statements are further qualified by other factors including, but not limited to those set forth in the company's filings with the United States Securities and Exchange Commission (available at http://www.sec.gov/). The company undertakes no obligation to publicly update or revise any statements in this release, whether as a result of new information, future events or otherwise. RENO, NV--(http://www.investorideas.com/ clean energy stocks blog ) - September 29, 2010) - Hybrid Energy Holdings, Inc. (PINKSHEETS: HYBE) announced today that its new management has made progress in its operational restructuring and resource deployment to Alternative Energy Sources, including PV and Solar Thermal Market and the Heavy Oil Extraction markets. Earlier this month the Company announced that it planned to profitably divest its energy production assets as part of this transition and negotiations are presently underway with respect to the restructuring and/or selling of the Natural Gas Assets the Company acquired in early 2010. Based on improved production performance resulting from efficiencies instituted by the Company, it is anticipated that the value of its holdings will provide the needed capital base to provide the necessary resources to advance its Alternative Energy initiatives. The Company recently announced the signing of a Letter of Intent (LOI) with Visalo Energy, Inc. to acquire their Heavy Oil Extraction Technology, paving the way to enter the expanding $155 billion per year Heavy Oil Industry; and has since reported Visalo's August 10th patent filing for the heavy-oil extraction technology. The proprietary Visalo technology dramatically increases recovery rates to 90% or higher at substantially lower entry costs in the heavy oil production industry. The Company will earn revenues from the extraction and recovery of 'heavy oil' reserves from existing wells not in active production. Hybrid Energy believes PV and Solar Thermal Market, particularly for residential and commercial use, is a high growth sector promising to become a significant and vital energy option primed for strong sales growth of the company's holdings and technologies. In its recent report 'United States PV Market 2010,' published July 26th, Solarbuzz forecasts the market will grow around ten times the size of the 2009 market, an average annual growth rate of 30% per annum. The Company's foundation-building Phase I strategic plan called for traditional and proven fuel production acquisitions to establish revenues and assets. Building on its success, the Company launched Phase II of its growth strategy and began its transition to alternative and renewable energy and technology revenue models. The Heavy Oil Extraction initiative, together with its Solar Energy Acquisition and Development Projects are anticipated to increase the Company's shareholder value. The company is assessing the acquisition of several new assets, operations and technologies and encourages further technology submittals and developmental joint ventures through the Merger & Acquisition portal at www.HybridEnergyHoldings.com. Based on the recent changes, the Company is completing reflective disclosure statements as part of its ongoing disclosure practices to provide updated information to all shareholders. It is also anticipated that further announcements regarding progress of its New Energy initiatives, management, re-branding, office relocation and marketing presence to more accurately reflect its refocused operations. This release contains statements or projections regarding future performance that are forward-looking statements as defined in the Private Securities Litigation Reform Act of 1995. Actual results may differ materially from those projected as a result of certain risks and uncertainties. The company's filings contain various RISK FACTORS (and are incorporated on the Company's website "Investors" section by reference) and should be read before any investment decision. DENVER - September 27, 2010 (http://www.investorideas.com/ renewable energy green newswire) - BIOFUEL ENERGY CORP. (Nasdaq: BIOF), an ethanol production company, reported on Friday that it has entered into a six-month bridge loan agreement with Greenlight Capital, Inc. and certain of its affiliates (collectively, "Greenlight") and an affiliate of Third Point LLC ("Third Point"). The proceeds from the bridge loan were used to repay in full its working capital loans under its senior debt facility. In addition, the Company has entered into an agreement with Greenlight and Third Point pursuant to which it has agreed to conduct a rights offering in which all holders of its Common Stock and Class B Common Stock will be granted the right to purchase convertible preferred stock of the Company, with the goal of generating sufficient proceeds to repay the bridge loan and BioFuel Energy, LLC's subordinated debt and to make certain other payments. These transactions were recommended to the Company's Board of Directors by a Special Committee comprised of independent directors. The Special Committee was advised by Piper Jaffray & Co. This news release shall not constitute an offer to sell or a solicitation of an offer to buy, nor shall there be any sale of these securities in any state or jurisdiction in which such an offer, solicitation or sale would be unlawful prior to registration or qualification under the securities laws of any such state or jurisdiction. This release contains certain forward-looking statements within the meaning of the Federal securities laws. Such statements are based on management's current expectations, estimates and projections, which are subject to a wide range of uncertainties and business risks. Forward-looking statements should not be read as a guarantee of future performance or results, and will not necessarily be accurate indications of whether, or the times by which, our performance or results may be achieved. Factors that could cause actual results to differ from those anticipated are discussed in our Exchange Act filings and our Annual Report on Form 10-K. Readers are directed in particular to the Company's disclosures concerning liquidity matters and going concern considerations contained in our most recent Quarterly Report on Form 10-Q. The Company currently has two 115 million gallons per year ethanol plants in the Midwestern corn belt. The Company's goal is to become a leading ethanol producer in the United States by acquiring, developing, owning and operating ethanol production facilities. Published on http://www.investorideas.com/ - a leader in cleantech research for investors. Visit the Investorideas.com Green Investor Portals: www.RenewableEnergyStocks.com, www.FuelCellCarNews.com, www.EnvironmentStocks.com, www.Water-Stocks.com all within the Investorideas.com hub. Green Energy investors can research stocks with the Renewable Energy Stocks Directory, one of the most comprehensive directories online. Point Roberts, WA - (Investorideas.com Newswire) - InvestorIdeas.com, leader in sector research for investors, reports on recent Biotech/ Healthcare Stocks news and trading for September 24th. UV Flu Technologies, Inc., (OTCBB: UVFT) is an innovative developer, manufacturer and distributor of bio technology products initially targeting the rapidly growing Indoor Air Quality ("IAQ") industry sector. The Company manufactures the VIRATECH UV-400, which utilizes high-intensity germicidal ultraviolet radiation (UV-C) inside a killing chamber that goes beyond filtration to destroy harmful airborne bacteria at rates exceeding 99.2% on a first-pass basis. UV Flu is committed to providing clean air to improve health and prevent the spread of disease. The company recently announced that in response to recent outbreaks of drug resistant superbugs such as NDM-1, and persistent occurrences of highly contagious strains of bacteria such as MRSA, the Company is implementing a national campaign to inform the public how its ViraTech UV-400 indoor air purifier significantly helps reduce exposure risks. and can qualify for Green Building programs. • Experts have warned that a new type of drug-resistant superbug is emerging. BiotechIndustryStocks.com Portal is a global meeting place for investors and industry following the sector, within Investorideas.com. Global visitors use the site daily to research the latest news, articles, audio, research reports and our stock directories. Disclaimer: The following news is paid for by third party on behalf of UV Flu Technologies, Inc., (eight hundred) Investorideas.com is a third party publisher of news and research .Our sites do not make recommendations, but offer information portals to research news, articles, stock lists and recent research. Nothing on our sites should be construed as an offer or solicitation to buy or sell products or securities. This site is currently compensated by featured companies, news submissions and online advertising. September 24, 2010, www.RenewableEnergyStocks.com, a leading investor news and research portal for the renewable energy sector within Investorideas.com, presents a sector close up on solar stocks trading. As California announced a new standard of : 33% of electricity from renewable sources by 2020, several leading solar stocks including FSLR see gains. According to Thursday's release – "The regulation establishing the 33 percent renewable electricity standard was adopted today unanimously by the California Air Resources Board. The standard will promote green jobs to construct and run renewable facilities in California, reduce hundreds of tons of harmful air pollution, insulate California's economy from the shock of volatile natural gas prices and help establish the state as a global leader in the research, development and manufacturing of clean, renewable energy sources." The sector was also helped as Piper Jaffray analyst added solar stocks to its Overweight list including : Yingli Green Energy (YGE), First Solar (FSLR), SunPower (SPWRA), Trina Solar (TSL), SunTech Power (STP), JA Solar (JASO), GT Solar (SOLR), ReneSola (SOL), and LDK Solar (LDK). Research other solar with the renewable energy stocks directory; a global stock directory featuring over 1200 green stocks. REGINA, SASKATCHEWAN--(http://www.investorideas.com/ clean energy stocks blog ) - Sept. 23, 2010) - Emerging clean technology companies are on the cusp of providing an economic, social, and environmental boost to Canada's Prairie Provinces. Currently, more than 100 clean technology companies are in the process of commercializing new products across Alberta, Saskatchewan, and Manitoba. The report demonstrates that the Canadian clean tech industry was very resilient during the recession – between 2007 and 2009, the overall compound annual growth rate was 47% and growth was seen in both the high-growth and more established sectors. Nearly three quarters of the prairies' clean technology companies were created as a result of a concept developed by an entrepreneur. In contrast, only nine percent of these companies were created as a result of technology developed through academic institutions, be it licensed or by the entrepreneur as an academic. The Prairie edition of Canada's first-ever comprehensive report on the clean technology industry, 2010 SDTC Cleantech Growth and Go-To-Market Report , launched today, also found that sixty-four percent of the 106 cleantech companies in the prairies are technology product companies, thirty-two percent are technology-enabled service companies, and four percent are large-scale and distributed processing companies. "This is a very exciting report because it gives emerging cleantech companies, organizations assisting these companies, and governments, the information we need to know to enhance the growth of this important industry," said Susan Gorges, CEO of SpringBoard West Innovations. "The information in the report will be a significant help to us as we create and enhance services to meet the needs of local cleantech entrepreneurs." The report includes input from 168 Canadian cleantech companies including 28 from the Prairies. 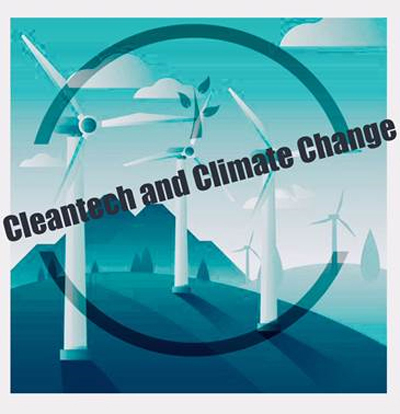 It looks at the state of the clean technology industry, with the intent of helping to build a globally competitive cleantech industry in Canada. The report also examines factors impacting investment in commercialization, which plays a key role in company growth. "The Canadian cleantech industry has plenty of potential to build globally-competitive companies," said Céline Bak, Partner with the Russell Mitchell Group. "But, being global technology leaders is that much harder when early adopter markets are far from home. A thriving Canadian cleantech industry depends on more than just technological innovation; we will need to build strong domestic markets while at the same time, investing in world-class commercialization for customers at home and abroad." Deployment of financing vehicles, such as flow-through shares and debt products for technology-based companies, to address the gap between supply and demand for growth capital. Regulation of greenhouse gases, which is one of the most important drivers for clean technology adoption worldwide. While the report found that cleantech industries continue to require assistance in accessing capital, it also found that the investment required by companies in this industry is less than might be anticipated – 96% of the companies surveyed were found to have capital requirements of between $1million and $30 million. "As clean technology is being integrated into virtually every sector of Canada's economy, it is essential that we identify the opportunities they create," said Vicky Sharpe, President and CEO of Sustainable Development Technology Canada (SDTC). "This report will be a great tool for the industry and for all levels of government to better understand the current state of the cleantech sector in the Prairies so that the region can take full advantage of these opportunities." The Report, which is available in 5 editions (National, BC, Prairies, Ontario and Quebec), was produced by the Russell Mitchell Group in partnership with six provinces and five federal departments. It was sponsored by title sponsor SDTC, Industry Sponsor OMERS, presenting sponsor OCETA as well as BC Hydro, Business Development Bank of Canada (BDC), C3E, Cenovus, Export Development Canada (EDC), Encana, Lixar, Ogilvy Renault, RBC and the Stonewood Group. Sponsors, partners, and supporters of the Report include: Alberta Innovates – Technology Futures; BC Hydro; BDC; British Columbia Innovation Council; C3E; Cenovus Energy; Climate Change Central; CVCA; EnCana; Enterprise Saskatchewan; Enviro-access; Environment Canada; Export Development Canada; Foreign Affairs and International Trade Canada; Government of Manitoba; Greening Greater Toronto; Industry Canada; LifeSciences British Columbia; Lixar; Natural Resources Canada; OCETA; OCRI; Ogilvy Renault LLP; OMERS; Ontario Ministry of Research and Innovation; Quebec Ministry of Economic Development, Innovation and Export Trade; RBC; SpringBoard West Innovations; Stonewood Group; TMX Group; Western Economic Diversification Canada; and XPV Capital. SpringBoard West Innovations Inc. is a non-profit organization established to help innovators transform an idea into a commercial reality and to help organizations access important new innovations. SpringBoard staff works alongside Saskatchewan entrepreneurs to accelerate the transformation of new ideas into marketable products and services. The organization provides services to a range of technology clients within Saskatchewan. Sustainable Development Technology Canada (SDTC) is an arm's-length foundation created by the Government of Canada which has received $1.05 billion as part of the Government's commitment to create a healthy environment and a high quality of life for all Canadians. SDTC operates two funds aimed at the development and demonstration of innovative technological solutions. The $550 million SD Tech Fund™ supports projects that address climate change, air quality, clean water, and clean soil. The $500 million NextGen Biofuels Fund™ supports the establishment of first-of-kind large demonstration-scale facilities for the production of next-generation renewable fuels. The Russell Mitchell Group is an advisory firm focused on technology commercialization in the clean technology and ICT sectors. Founded by industry veterans with decades of operating and consulting experience, Russell Mitchell delivers strategic advice and operational support to emerging technology businesses, investment firms, financial institutions and government ministries. Working with emerging company leaders to identify and capitalize on opportunities for growth, Russell Mitchell has helped some of Canada's most successful technology companies become global market leaders. Bringing insight and expertise gained by working with hundreds of companies across Canada and unparalleled proprietary industry research, Russell Mitchell offers: Business Planning; Corporate and Product Strategy; Technology Licensing; Go-to-Market Strategy; Strategic Planning; Business Risk and Performance Management; International Expansion; Hands-on Operational Support; Due Diligence; and Industry and Market Research. With offices in Toronto and Ottawa, the Russell Mitchell Group serves clients across Canada, as well as abroad. MARLBORO, Mass.--(http://www.investorideas.com/ clean energy stocks blog )--Evergreen Solar, Inc. (NasdaqGM: ESLR), a manufacturer of String Ribbon® solar power products with its proprietary, low-cost silicon wafer technology, today announced that it has appointed Michael El-Hillow to the position of President and Chief Executive Officer effective immediately, replacing Richard M. Feldt who has accepted the position of Chief Executive Officer with a privately-held company. Mr. El-Hillow was also re-elected a director of the Company at a September 22, 2010 meeting of the Board. .Mr. El-Hillow previously served as Chairman of the Board for Evergreen from October 2005 to January 2007 when he was recruited to the Company as the Chief Financial Officer. In September 2009, he also assumed the responsibilities of Chief Operations Officer. Mr. El-Hillow will continue to oversee operations in his new role. The Company will immediately begin a search for a Chief Financial Officer. Paul Kawa, Corporate Controller, will serve as interim Chief Financial Officer. Evergreen Solar, Inc. develops, manufactures and markets String Ribbon® solar power products using its proprietary, low-cost silicon wafer technology. The Company's patented wafer manufacturing technology uses significantly less polysilicon than conventional processes. Evergreen Solar's products provide reliable and environmentally clean electric power for residential and commercial applications globally. For more information about the Company, please visit www.evergreensolar.com. Evergreen Solar® and String Ribbon® are registered trademarks of Evergreen Solar, Inc.